iPhone Stuck On Update Requested? Here's The Fix! You are at:Home»iPhone»iOS»iPhone Stuck On Update Requested? Here’s The Fix! Your iPhone has been requesting the latest software update for longer than usual and you’re not sure why. When a new iOS update becomes available, your iPhone has to request, prepare, and download the update before it can be installed. 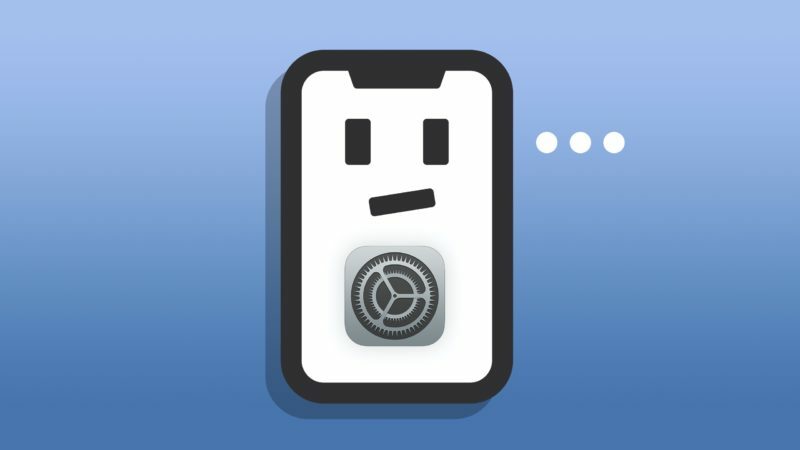 In this article, I’ll explain why your iPhone is stuck on Update Requested and show you how to fix this problem for good! One of the main reasons why an iPhone gets stuck on Update Requested, or any other part of the update process, is because your iPhone has a weak or no connection to Wi-Fi. 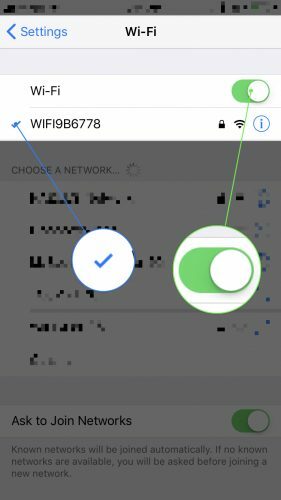 Go to Settings -> Wi-Fi and make your iPhone is connected to a Wi-Fi network. It’s really important that your iPhone is connected to a strong Wi-Fi network when updating your iPhone. Sometimes, Apple will even require that your iPhone use Wi-Fi to update when a major iOS update is available. It’s possible your iPhone is stuck on Update Requested because its software crashed, causing your iPhone to freeze. You can hard reset your iPhone to quickly turn your iPhone off and back on, which will unfreeze it. iPhone SE and earlier: Simultaneously press and hold the Home button and the power button until your iPhone turns off and the Apple logo appears on the screen. iPhone 7 & iPhone 8: Simultaneously press and hold the power button and the volume button until your iPhone shut downs and the Apple logo flashes onto the center of the screen. iPhone X: Press the volume up button, then the volume down button, then press and hold the side button as your iPhone shuts down and the Apple logo appears. Note: You may need to hold both buttons (or just the side button on your iPhone X) for 15–30 seconds! 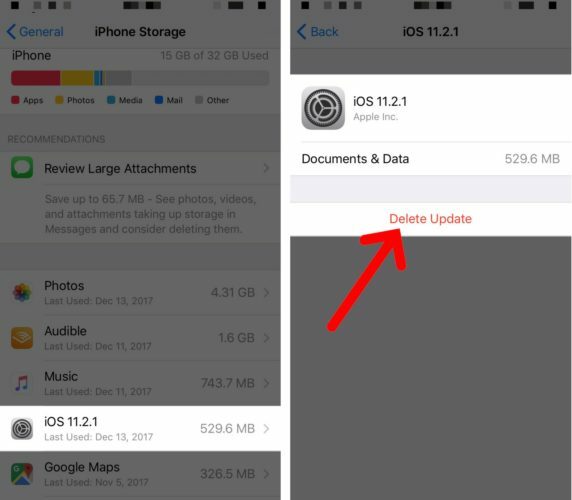 If you hard reset your iPhone but it still gets stuck on Update Requested, go to Settings -> General -> iPhone Storage and delete the iOS update from your iPhone. The update will appear on this menu as the version of the software update. Tap on the software update, then tap Delete Update. Afterwards, head back to Settings -> General -> Software Update and try to download and install the update again. If the software update doesn’t appear here, it didn’t get downloaded yet, so you can also head to Settings -> General -> Software Update and try to download the update again. Finally, if your iPhone gets stuck on Update Requested, you can perform a DFU restore, which will erase and reload all the code on your iPhone and update it to the latest version of iOS. Check out our complete guide to DFU restores to learn how to put your iPhone into DFU mode! Your iPhone is finally up to date! I hope you’ll share this article on social media to help your friends and family if their iPhone gets stuck on Update Requested. Leave a comment or question below if there’s anything else you need help with! Previous ArticleHow To Download Podcasts On iPhone: The Simple Guide! Next Article iMessage Out Of Order On iPhone? Here’s The Real Fix!